I admit I’m not the most environmentally conscious bloke around. 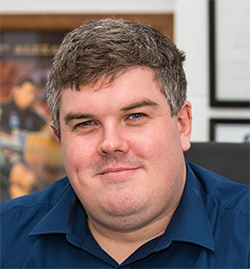 My accuracy with the three-bin system is hovering at around 80 per cent (in my humble opinion), I still put stuff down the sink that I probably shouldn’t and my first task when moving into a new place is generally removing anything that restricts the water pressure in my shower. And I also get the irony that I’m writing this column in a newspaper, which comes wrapped in plastic each week (fully recyclable, mind you!). But honestly, I am flabbergasted at how epic this debate over Coles and Woolworths removing single-use plastic bags from their checkouts has become. While the world grapples with immigration, gun laws, terrorism and war, Australia’s chief concern is the free plastic bag Woolies and Coles used to give you at the checkout. Seriously, this is just bizarre. Coles having to have every checkout open last Sunday to help customers “adapt” to the changes. 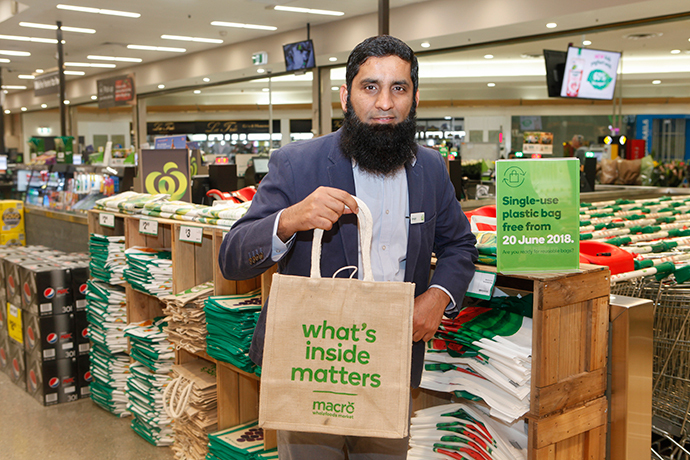 Woolworths being forced to backtrack and give customers free reusable bags to avoid some of the backlash. Reports of people leaving behind trolley loads full of shopping, worth hundreds of dollars, because they’d have to pay less than a dollar for a handful of bags, to make some sort of bizarre point. Customers abusing and even assaulting staff members. Others stealing trolleys to get back at those greedy supermarkets. And my favourite: people are outraged because they line their bins at home with the old single-use bags, as if it is the responsibility of Coles and Woolworths to sort out your sanitary issues in the kitchen. We used to call the Poms whingers. We’ve taken over and now lead the class by the length of the straight. Coles and Woolworths announced the phase out of bags last year, giving customers plenty of time to get used to the changes. Signage was prominent in stores. There were full page newspaper ads, and blanket advertisements on radio and television. Usually I’d be the first to call out a big corporate outfit for not preparing customers but I think both Woolworths and Coles handled it perfectly. And yet, we all seem to be acting as though this has literally happened overnight, without warning. Woolworths and Coles can be blamed for many things, but the ignorance of their shoppers is surely not their fault. And here’s the other thing that has got me stumped: there’s better options than the single-use bags anyway. For a good 18 months now I’ve been using those canvas bags as an alternate to the single-use bags. It was a $10 investment for four bags. The canvas bags make shopping a much better experience – they hold more stuff, you end up with less bags to carry to the car or bus, they’re more sturdy and they’re easy to clean. Yes, I’ve heard all the arguments about this bag ban not making much of a difference in the overall scheme of things as far as the environment is concerned. It’s hard to know who to believe when it comes to the facts and figures but surely common sense tells us it would make at least some difference. In return, a tiny bit of extra effort is required on our behalf. That tiny bit of extra effort is literally a one-time investment of about $10 and remembering to bring your bags to the shops. It’s that simple. And if you do forget – or don’t want to outlay the $10 or so – then you get slugged a whopping 15c to buy a bag you can actually use again. Honestly, I really can’t understand why this has become such a big issue that has got people so fired up. If nothing else, it has proven what a soft, change-averse society we have become. In these past few weeks I’ve seen people declare that they’ll never shop at Woolworths and Coles again. Apparently they’re off to Aldi, who haven’t offered free single-use bags since they launched in Australia more than 15 years ago. If you really want to stick it to Coles and Woolies, buy your fruit and veggies at an independent fruit shop, and your meat at a butcher. The ‘beast’ of the big supermarkets is something we have created in our desire to save a few dollars here and there, or for the sake of convenience.